Ghosn’s alleged offenses may carry a sentence of as much as 10 years. TOKYO -- Ousted Nissan Chairman Carlos Ghosn is set to appear in a Tokyo court on Tuesday after he requested an open hearing to hear the reason for his continued detention. It would be Ghosn's first public appearance since he was arrested on Nov. 19 on allegations of financial misconduct. He has been detained since then and has also been re-arrested over further allegations. The hearing will take place at 10:30 local time (01:30 GMT) on Jan. 8, the court said on Friday. Earlier this week, the Tokyo District Court approved an extension to Ghosn's detention until Jan. 11, after his re-arrest by prosecutors who accuse him of aggravated breach of trust in transferring personal investment losses to Nissan. The allegations center on the use of company funds to pay a Saudi businessman who is believed to have helped him out of financial difficulties, sources said last week. Ghosn has already been charged for allegedly under-reporting his income. 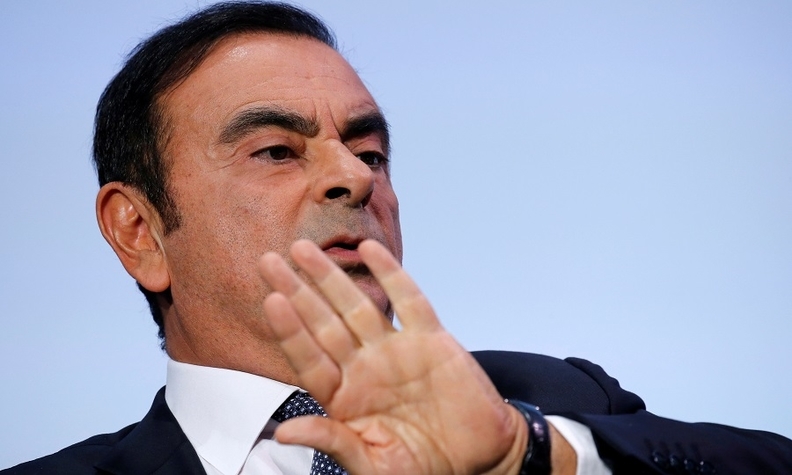 He has denied all the allegations, local media has said. .
Nissan has also accused Ghosn of misusing company funds, including over homes from Brazil to Lebanon and hiring his sister on an advisory contract. Nissan has also been indicted over under-reporting Ghosn’s income. Former Nissan executive Greg Kelly has been released on bail after the court ruled against extending his detention while he awaits trial. He is alleged to have helped Ghosn under-report his compensation from the automaker by tens of millions of dollars, a charge he denies. Ghosn's arrest has strained Nissan's ties with partner Renault, where he still remains chairman and CEO. His arrest came after a months-long investigation by Nissan into his conduct, a probe that was largely kept from Renault. That lack of transparency and concern that Nissan will use Ghosn’s absence to push for more power within the alliance has heightened tensions between the two automakers. Ghosn's arrest has also put some of the practices of Japan's criminal justice system under international scrutiny, including keeping suspects in detention for long periods and prohibiting defense lawyers from being present during interrogations.